Accompanying the display, a plaque (below) shows the specs of the steam engine and the very last line mentions that it has served the Tamsui RR Line. The writer apparently had no idea what the Tamsui Line had played in the lives of Tamsui-lang. The folklore is replete with love stories at a time when boys and girls commuted one hour each way to attend the best high schools in Taipei and the sparks flew. This is no longer possible with the now always crowded Taipei MRT. The above is a photo taken possibly in the early 1950s showing the water tower and next to it, the guzzling BK24. This was known fondly to Tamsui-lang as 火車吃水. Chen Yi 陳儀 (1883-1950) was the first post-war governor of Taiwan, appointed by Chiang Kai-Sek on Aug 29, 1945 and arrived in Taiwan with his entourage on Oct 24 to take up the office. On Oct 25, he presided over the surrender of the Japanese. And, as we all know, the 228 Incident of 1947 occurred under his failed governance. (1) He was educated in Japan in 1902 and again in 1919 when he graduated from the Military Academy of Japan and also married a Japanese. (2) In 1935, he visited Taiwan and was impressed by the rapid progress made under the Japanese rule. After more intelligence gathering, he published a report on Taiwan 台灣考查報告 in 1937. 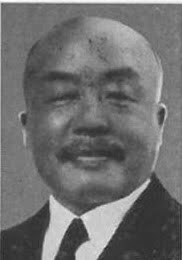 (3) Also in 1937, he became the Provincial Chairman (Governor) of Fujian (Hokkien) and sought to reproduce the Japanese success of economic development in Taiwan. (4) In anticipation of the return of Taiwan to China, in 1943, he chaired the Taiwan Survey Committee of the Nationalist Gov't and filed two reports, one an expansion of the previous survey and the other, the 台灣接管計劃綱要Outline of the plans for taking possession of Taiwan. (1) Just like during the Qing rule, Taiwan was once again regarded as a conquered land. Chen et al had failed to realize that Taiwan was already on its way to becoming a modernized society with its people enjoying a much higher living standard than that in the war-torn China. The officials and the soldiers arriving from China in 1945-6, once again misbehaved as those during the Qing era. And the wealth and riches once again were looted by the governor's cronies. (2) The gentry class, successfully used by the Japanese to help in the colonization of Taiwan was promptly labeled as traitors of the Han people and arrested and prosecuted. And those who had escaped persecution went silent. 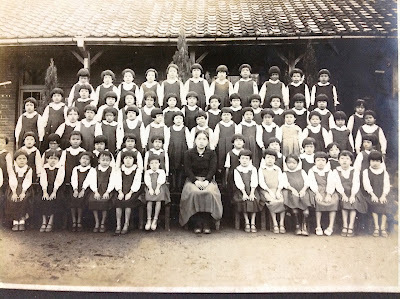 This class was replaced with a small group of Taiwanese who had fled the Japanese rule to reside in China, They, however, no longer enjoyed close kinship with the people of Taiwan. In fact, they were often ridiculed secretly as men of the Half-Mountain, a reference to their adaptation to the Chinese ways. (3) The implementation of de-Japanization policies that suddenly inferiorized the Taiwanese intelligentsia and the emerging leadership, both consisting of physicians, lawyers, teachers, professors, writers, and artists [and most of them were wiped out during the 228 Incident in 1947]. The red flag above was the fatal flaw. By 1942, 58% of the Taiwanese spoke and wrote Japanese. There were 1,019 elementary-junior high schools, 44 senior high schools, 117 vocational schools, 3 normal schools, and one full-fledged university (complete with a medical school). And among the young, by 1945, 80% had attended elementary school. This high literacy was, however, interpreted by Chen, not as a sign of modernization and an asset, but as that of slaverization and a black stain to be cleaned off. And to transform the Taiwanese back to Chinese, the language must be changed to Mandarin Chinese, the 國語official/national language of China, itself a dialect from Beijing (known to the Taiwanese as 北京話). On April 2, 1946, mandatory Chinese language education started. And all official businesses must be conducted in Chinese. 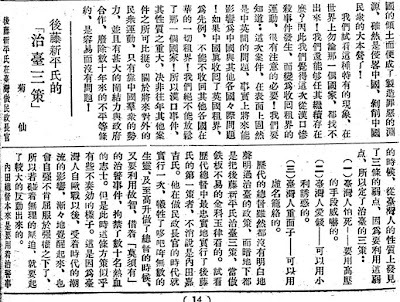 In addition, as in April 1937 when the Japanese Colonial Gov't banned Chinese, on Oct 26, 1946, Chen prohibited the publication of all things written in Japanese. And writers and reporters who knew no Chinese lost their livelihood overnight. Of course, it was never a simple language issue, Chen theorized that, "臺灣過去在日本帝國主義高壓統治之下，……在文化思想上更散播了無數的毒素，使臺灣同胞日日受其麻醉與薰陶，對祖國觀念模糊，逐漸離心，以遂「日本化」和「皇民化」的目的。……使臺灣同胞在不知不覺之中，自然而然的產生一種崇拜日本的自卑心理（in 《臺灣新生報‧1945年12月7日‧肅清思想毒素》）"
Translation: "In the past, Taiwan was under the tight control of Japanese imperialism, ...in order to achieve the goals of Japanization and imperial Japanification, [the Japanese] had spread numerous toxins to anesthetize and poison the cultural thinking on a daily basis, thereby gradually separating the Taiwanese from the idea of the motherland [i.e., China]. ...This has altered the mindset of the unsuspecting Taiwanese and changed it into one with an inferiority complex that worships Japan." And how to "detoxify" the Taiwanese? Why, the Chinese language obviously must be re-introduced and through which, the Chinese culture as well, so that the Taiwanese could learn to discard the one that idolized Japan. The disagreement was loud and clear, and immediate. Numerous rebuttals and editorials were published in contemporary newspapers. 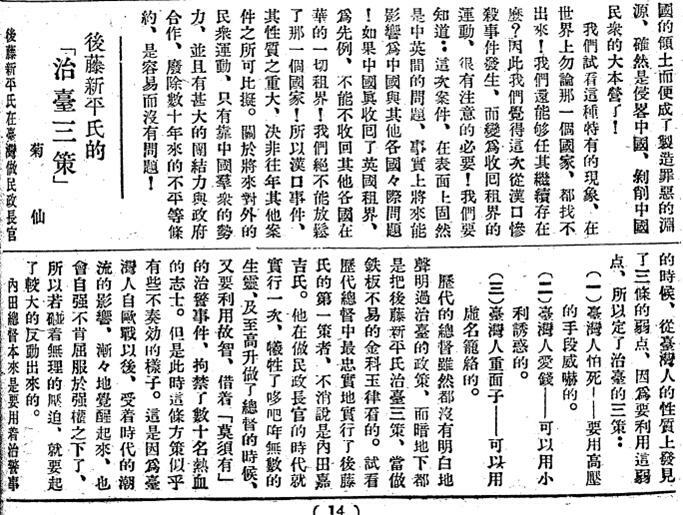 For example, an often quoted article by 王白淵 (1902-65) stated: "臺省在其各方面，既有具備近代民主社會建設的諸條件。許多外省人，開口就說臺胞受過日人奴化五十年之久，思想歪曲，似乎以為不能當權之口吻，我們以為這是鬼話，除去別有意圖，完全不對。……臺胞雖受五十年之奴化政策，但是臺胞並不奴化，可以說一百人中間九十九人絕對沒有奴化。只以為不能操漂亮的國語，不能寫十分流利的國文，就是奴化。那麼，其見解未免太過於淺薄，過於欺人。……現象與本質，應該要認清楚，不可以為一時的現象，例如臺胞慣用日文日語，或是帶著一點日人脾氣，或是不能說漂亮的國語，寫流利的國文，就說臺胞奴化變質或是沒有用。……臺胞雖是在日本高壓之下，但竟受過高度資本主義的洗禮，很少有封建的遺毒，在這一點我們以為台胞可以自慰（in 《政經報‧1946年1月25日‧告外省人諸公》. Translation: "In every respect, Taiwan already is ready for modernization. Many Chinese declare that since the Taiwanese have been ruled as slaves for 50 years and are used to submissive thinking, they cannot be entrusted with power. We regard this as utter nonsense, rife with ulterior motive, and is totally wrong. ...The Taiwanese may have been ruled by slavery policies, but they are not slaverized. It is fair to say that out of 100, 99 absolutely have not been slaverized. If only because the Taiwanese cannot speak fluent Chinese and write in beautiful proses and therefore to mark them as having been slaverized is too superficial and a form of bullying. ...The manifestation and the reality must be distinguished. One must not regard a temporary phenomenon, for example, the Taiwanese are accustomed to using the Japanese language and at times exhibit Japanese behavior, and often they cannot handle spoken and written Chinese, it is not right to declare them warped and useless. ... Even though the Taiwanese have been ruled under high pressure by the Japanese, we have been exposed to high degrees of capitalism while retaining very little residual poison passed on from the old feudal system. We, the Taiwanese, surely can be proud of that". It took the Japanese colonial gov't 50 years to reach an acceptable level of Japanese literacy. Even so, most Taiwanese still spoke their mother tongues at home. And yet, Chen boasted that the language reform could be accomplished within a short span of 4 years. To achieve this goal, he recruited a large number of Mandarin-speaking young men and women from China, to replace Japanese-speaking Taiwanese teachers. The latter must pass language exams in order to qualify for teaching again. Many did. However, the former frequently touted their 5,000 years of Chinese heritage and looked down on the Taiwanese as second-class cultural citizens, thus creating an instant disharmony. In addition, the Chinese language requirement had other unpleasant consequences for the Taiwanese: (1) only Mandarin-speakers could become civil servants and (2) elections were limited to Mandarin-speaking candidates. In order to fill the vacant posts, the gov't imported mainland Chinese. And without candidates, the democracy process stopped dead in its tracks - long suspected as the ultimate motive of the new rulers of Taiwan that turned out to be true. To add insult to injury, the gov't claimed that Taiwan had no usable talents. Yes, the Qing and the Japanese colonial rules all over again, and worse, this time, the governance was a combination of the two. Chen Yi's governorship was terminated on March 22, 1947; although on Aug 6, 1948, he became the governor of ZeJiang Province, but was arrested in Feb, 1949 for plotting to defect to the Communists, a capital crime. He was sent to a prison in Taiwan in April, 1950, executed at 馬場町 in Wanhua on June 18 of the same year. Tens of thousands of Taiwanese gathered to witness the execution only to discover that it was already a done deal. In 1898, 児玉源太郎 Kodama Gentaro (1852-1906) assumed the post of the 4th Colonial Governor General of Taiwan. He invited his close friend and colleague 後藤新平 Goto Shinpei (1857-1929) [pictured above] to be the Chief Civil Administrator and jointly, they ruled Taiwan for 8 years. Although in reality, Goto was the true governor or the governor in residence and Kodama, the governor in absentia, since the latter was often busy elsewhere in the Japan Empire. 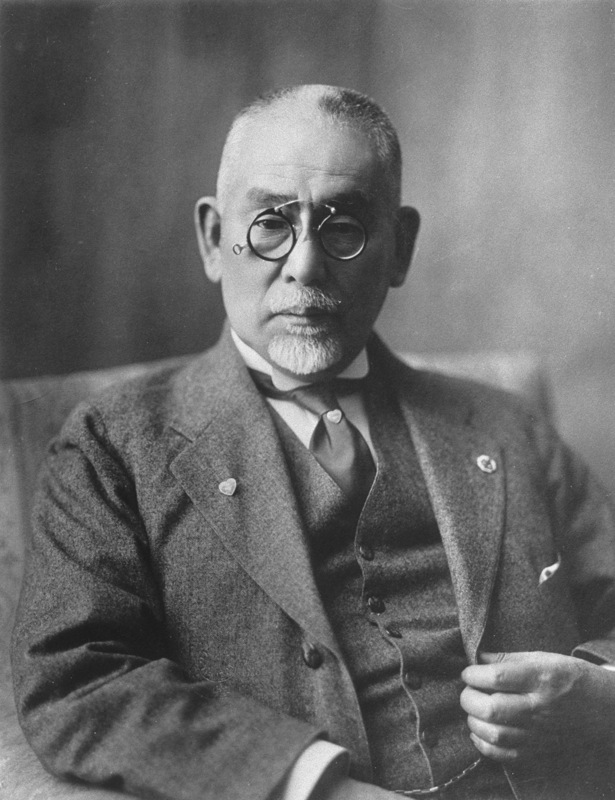 Goto was initially trained as a physician who had also done research in Germany (1890) and the results had earned him an MD degree in Japan. The utilization of the scientific method in his other duty as an administrator was therefore a matter of course. This biological principle was essentially to leave things as they were and not to go against Nature. Goto pointed out that it was not possible to, for example, change the eye position of a carp to that of a flounder "ヒラメの目をタイの目にすることは出来ない". To put this in practice, Goto advocated that any effective administering must adapt to, not to alter local circumstances, since people were the product of social customs and systems and were set in their ways. The intent of this article was actually to refute the fear of death assertion citing as proof, the failed application of policy No 1 by 內田嘉吉 Uchida Kakichi (1866-1933). In Uchida's role as the Chief Civil Administrator (1910-15), the use of deadly force had not deterred Taiwanese rebels at all. Of the many rebellions under his watch, the most notorious, also the last of its kind, was the 噍吧哖事件 (1915-16) of Tainan, in which the Taiwanese fought unsuccessfully for religious freedom and 1,413 men were later arrested and charged, with 866 sentenced to death (95 executed) and 453 to terms in prison. After the Diet [國會, Ko-Kai, Japanese Parliament] expressed grave concern over the excessive severity of the punishment, the death sentences were commuted to life in prison. Uchida served less than one year (1923-24) as the 9th Governor General and was unceremoniously removed. That the Taiwanese were not all the same was already known to Goto, however. To him, the Taiwanese could be separated into two camps, the well-to-do gentry [仕紳] upper-class and the rest, and the three human frailties were applicable to the more educated gentry minority, not the vast number of often rebellious common folks. Realizing that in what was really a Confucian society where the gentry class had always commanded respect from the common people, Goto then went to work. By applying Policies 1-3 judiciously, he was able to gather a group of collaborators to negotiate with the fearless rebels on behave of the Japanese. This first attempt was a trial run. It would not be as successful as advertised, at least not productive in the short run, and large revolts continued, well into 1915, after Goto's term ended in 1906. To probe even further, Goto had also found that the origin of the facing-saving vanity was actually an extension of piety, a merit central to the centuries-old Confucianism. This, however, seems a stretch. Perhaps the simplest interpretation is that when an authoritative figure (e.g., the Governor General) asked a Taiwanese of some prominence to perform a task, the latter would feel obligated to use all his connections and power to complete the mission, or risked losing face and worse his social standing. Led by the rich and famous propped up by the Japanese, Taipei Confucius Temple was re-built in 1925 much to the delight of the general public. 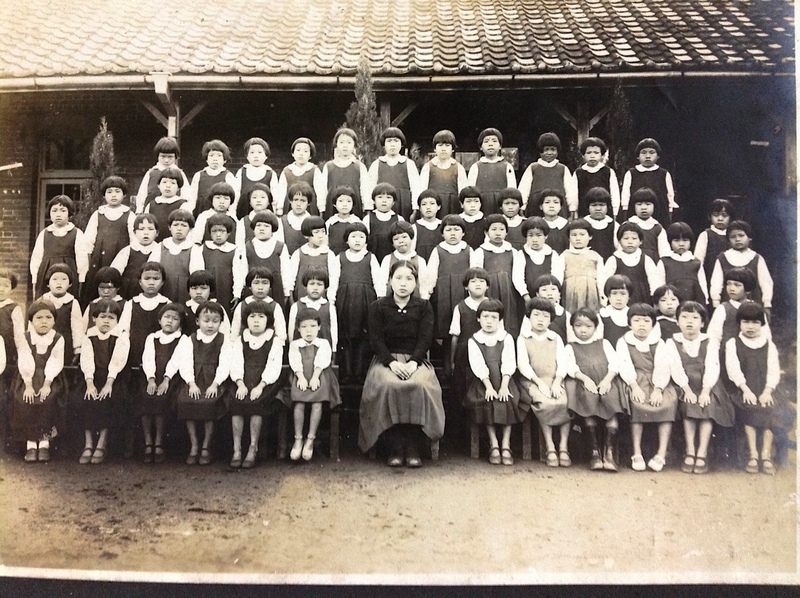 And for the next 2 decades, a whole generation of Taiwanese was educated, beginning with the compulsory elementary schooling, to be loyal subjects of the Japanese emperor. 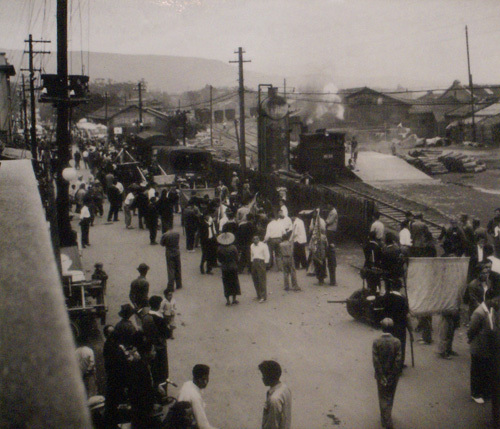 In the end, however, the assimilation [皇民化 or Japanificaton] was never completed. It is still unclear if this process would ever be successful, it having been interrupted by the surrender of Japan at the end of the Pacific War. Although, in preparing for the war in 1942-45, the governance of Taiwan had shifted away from the Goto Confucianism approach to unadulterated Japanese militarism. This, compounded with the exposure to western democratic ideas and more important, a discontent simmering in the background - stemming from the subtle yet real racial differences between Taiwanese and Japanese, the overt favoritism of the Japanese on all levels, and the forced abandonment of Taiwanese language and religion - had raised the awareness of the Taiwanese identity, however ill-defined at that time. Unfortunately, an incomplete Taiwanese identity, often confused with Chinese nationalism even among the Taiwanese themselves, rendered it open to character assassination. 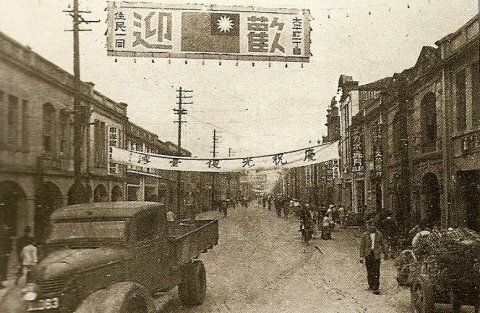 During the 1945 Nationalist take-over of Taiwan (above, the welcoming and celebratory banners displayed in Taipei), the Taiwanese law-abiding citizenship was derided as the result of the Japanese slaverizing education [奴化教育], based on a fear of the law rather than the healthy respect of it as that shown by other civilized peoples in the world. The orderly society during the transient absence of law-and-order authorities between Aug and Dec, 1945 was deemed an exhibition of Taiwanese meekness. And the proud work ethic? Well, simply a sign of total submission to their Japanese masters. These dismissive assessments plus the mis-reading of Goto's study proved hugely incorrect. And the long-dormant rebellious Taiwanese character of the Qing era was finally awaken in 1947, in the 228 Incident.